Yahoo!DIY has a fresh and easy-to-navigate-trough layout, and is now full of eye candy along with lots of tips and tricks to DIY during the Holidays; gift and wrapping ideas, recipes, different decorations and more. I came across a post that mentioned both bling and glitter in the headline (on how to add a little extra glitter here and there without any mess) and as you know, bling and glitter has -apart from checks- been a theme here lately, so that was my thing! And I intended to add a LOT of glitter. 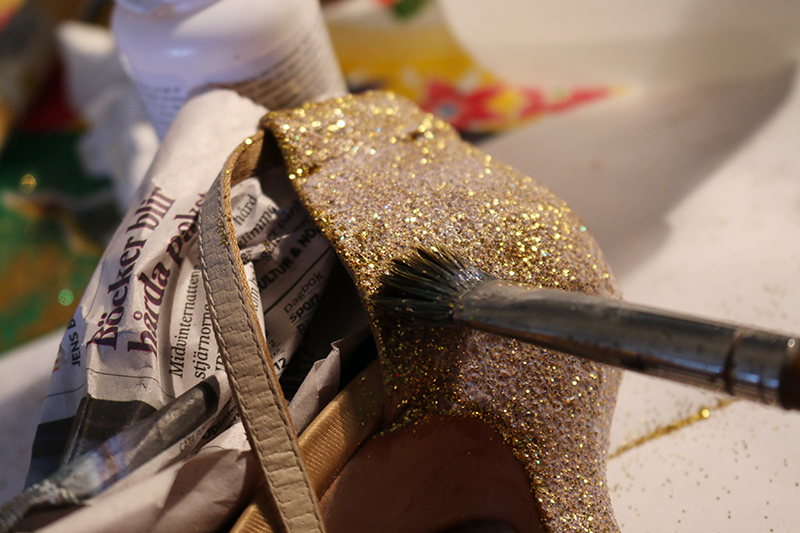 Some time ago I made an old pair of shoes fancier by adding rhinestones to them, and last week I pimped up a plain shirt by embellishing it -now it was time to spice up another pair of shoes: to glitter them up! Glitter is something that growns on you. There was a point in life that if asked, I would have said that there can be such a thing as too much glitter. 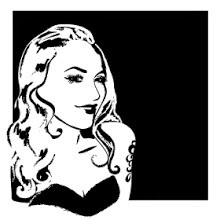 But nowadays, and especially at this time of year, I would say No, there simply can not be any such thing as too much glitter or bling. This often from a burlesque point of view, which is slightly ironic and full of the love of all things camp and kitsch. (And if you haven't noticed, Christmas is a very kitschy holiday.) But glitter, even when there is a lot of it, can still be stylish and classy too. And depending on how you choose to style a pair of glitter shoes, the result can be either wonderfully over-the-top or then very elegant. Or maybe even both. Some of you may recall that crafting and I are not total bff’s, but that is only goes for certain areas of crafting. As I have accepted a lot more glitter in everyday life, I have also come to enjoy the bling up’s a lot more, to the extent that I sometimes start new projects and choose items to bling up without having an actual reason for it. But in this case there is very much reason - to give old shoes a new life. I have glittered up several pairs before and am often asked about how they've done. First take note that this will require a day or two - the steps are rather quick to do but the waiting in between takes time. So if you want to wear your blingy shoes for Christmas you might be in a bit of a hurry, unless you start in 1-2-3-NOW! and yo might be able to wear then for Christmas day (which is, as I remember from the days when I was young and out and about all the time, the day to part-ey out on town.) 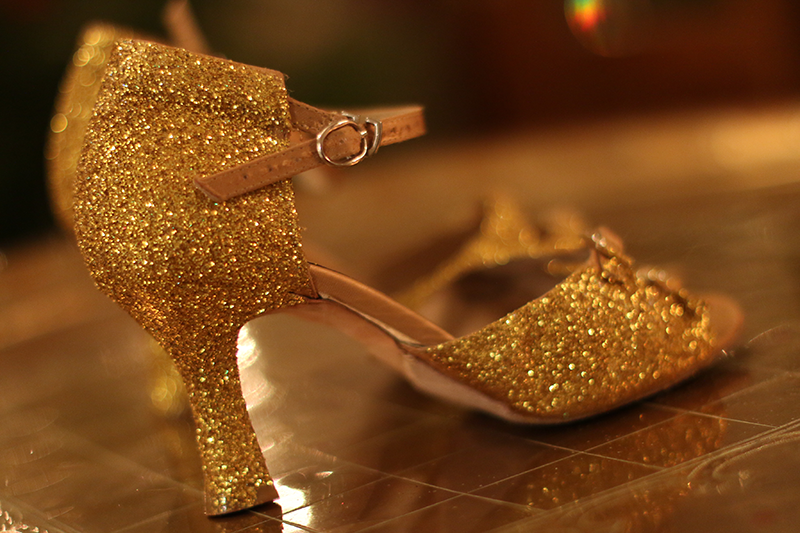 But, even better, and as you perhaps might have a few other things on your hands righ tnow, make them in time for New year’s eve to definitely out-sparkle all other shoes in the room! So - take out an old pair of shoes -or new ones if you so please, but wear them in first - and clean them up if needed. I find this works best on satin (or canvas) shoes, but basically you can do the same on any kind of material - this is also how I made the glitter surface for the (plastic) soles on my red heels that I embellished some time ago. 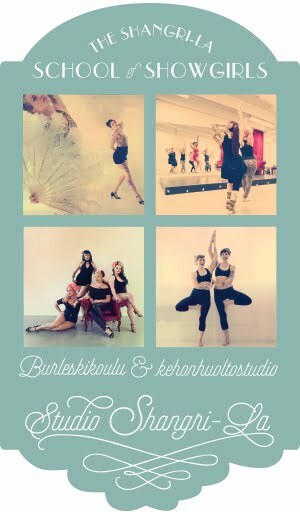 The pair I’m working on are a pair of by now rather sad looking dancing shoes I use on stage, but as I’ve said before; dance shoes are the most comfortable of heels as they are soft tand flex. In other words, perfect for parties as well! You will need fabric embellishment glue, one that dries see trough and elastic. I go for my old pal Jewel-It. Then you'll need a brush to paint it on. And, glitter. Heaps of glitter. But don’t be chocked by the size here! For someone that pours glitter on herself and throws it in the air for a living, this is standard size and I go trough several of these a year. 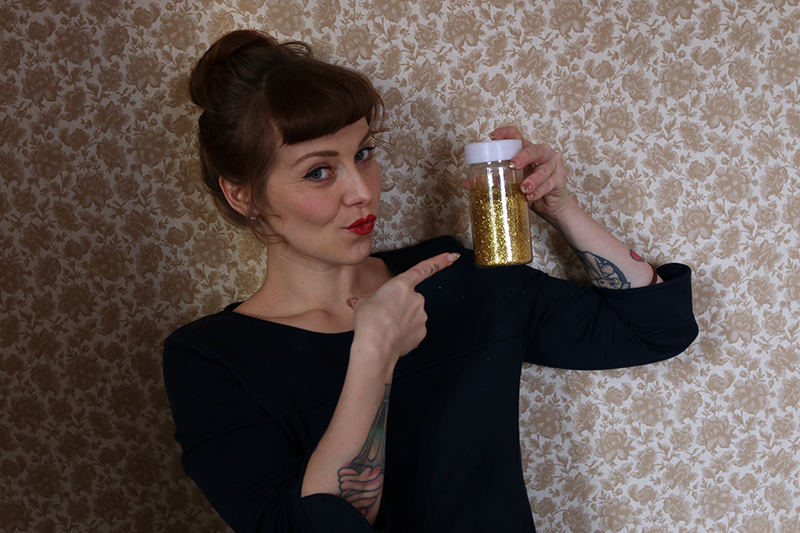 A smaller size (that some perhaps may still refer to as a big jar of glitter? Hard to say when you have caught what we call glitter-herpes) will do fine, because in the end you will not need that much to cover your shoes, although the process requires quite a bit. You can smarten things up, and in the same time get by with less of a mess if you grab a few papers along for your working surface and an extra jar for the glitter. First, fill your shoes with newspaper (or a few rolled nylon socks) in order to keep their shape and to not get messy on the inside. 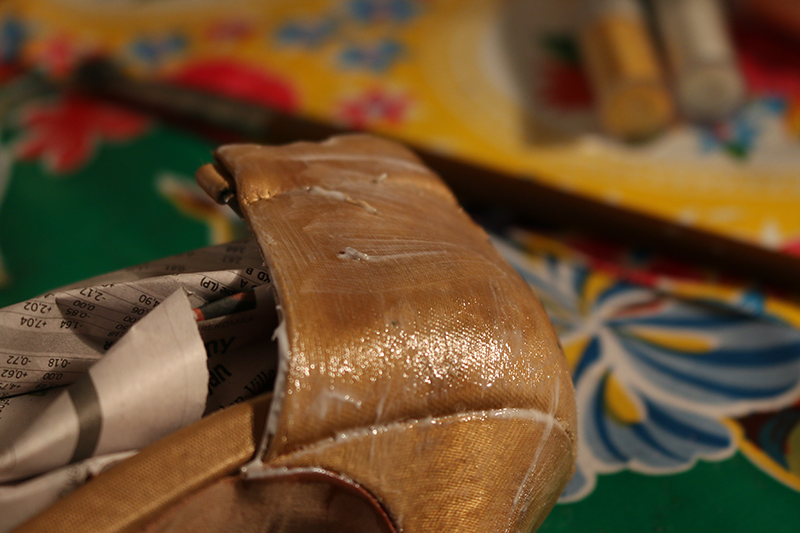 Start by covering one side of the shoe with glue; paint on a rather thin layer (it will sink in fast). Apply a second layer after a about ten minutes. Try to paint the glue on as even as possible - don’t make the layer too thick as the glitter will not attach evenly then, but make it thick enough still not to be soaked in straight away. It should leave a visible surface. (If you are working on another kind of material that won’t soak up the glue one layer is enough). Fold a paper in half and open it up so that you have a little crease in the middle. 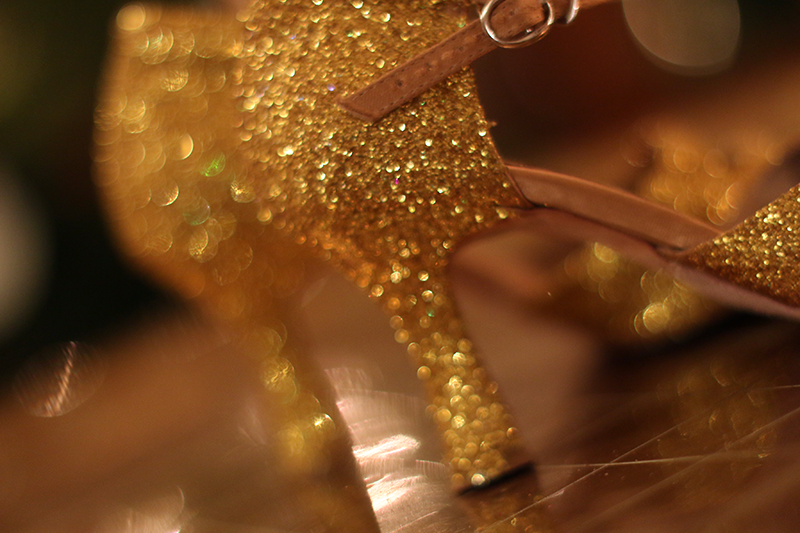 Place the shoe on the paper and pour glitter on it. And I mean pour! Pour glitter on it like there is no tomorrow! Make it pile up! Glitter it like it’s 1999! 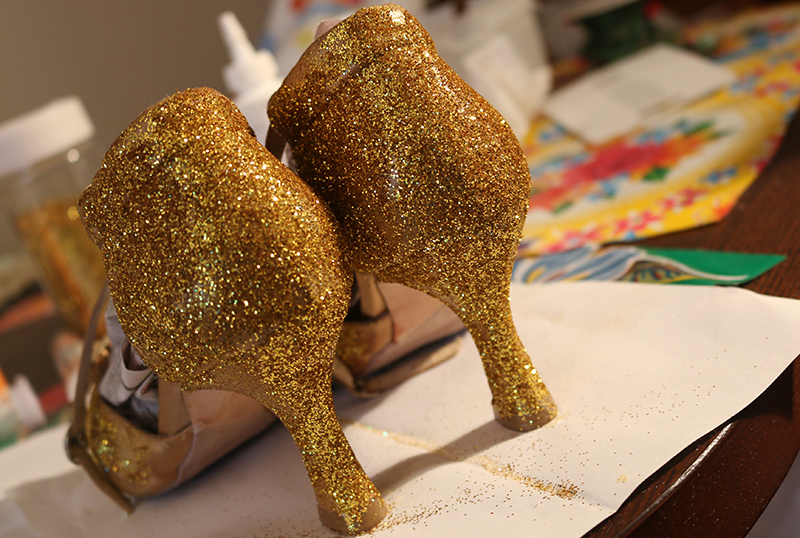 The shoe will look a bit over glittery and fuzzy, but it will not remain that way. 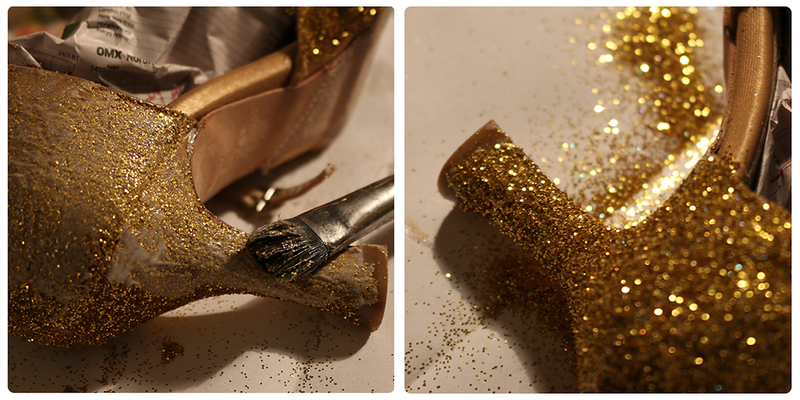 Wait for some ten minutes again, and carefully lift the shoe and let the excess glitter fall off on your paper. Tap the heel and the toe a few times on the paper to get all the extras off. To re-use your sparkle, fold the paper in half and pour the glitter back in your jar. Leave the shoe lying on the side to dry while you start with your other shoe. You can do the other side after an hour or two, depending on how well the first side has dried. 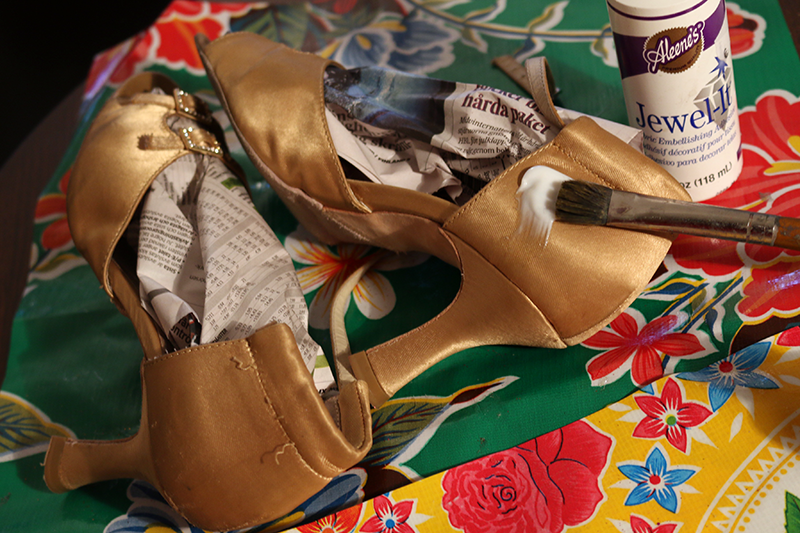 Let that side dry too and then glue and pour gitter on the back of the shoes, leave them standing to dry. The glitter surface may look a bit uneven and weird, but fear not, this is only the first round. You can speed up the drying process by gently blowing the shoes with a hair dryer. And I really want to stress it when I say ‘gently’ -keep the hairdryer on a good distance and on low effect; too hard a blow can make an uneven result as the glue-glitter mass can move. Also, do this away from your crafting table, unless you want to cover your whole house in glitter (which, depending on a lot of things, may not necessarily be a bad idea. But it’s not what were after here). Your shoes are ready for the next coating after a few hours, or the next day. Paint on a new layer of glue, thick enough to cover all the glitter. It may seem like you are ruining the fine sparkle, but don’t worry, they will improve! Pour on glitter en masse again, wait a while, tap it off and let dry. Repeat on the other side and in the back. Let dry properly. Two layers will most like be enough, or then go for a third, your choice. 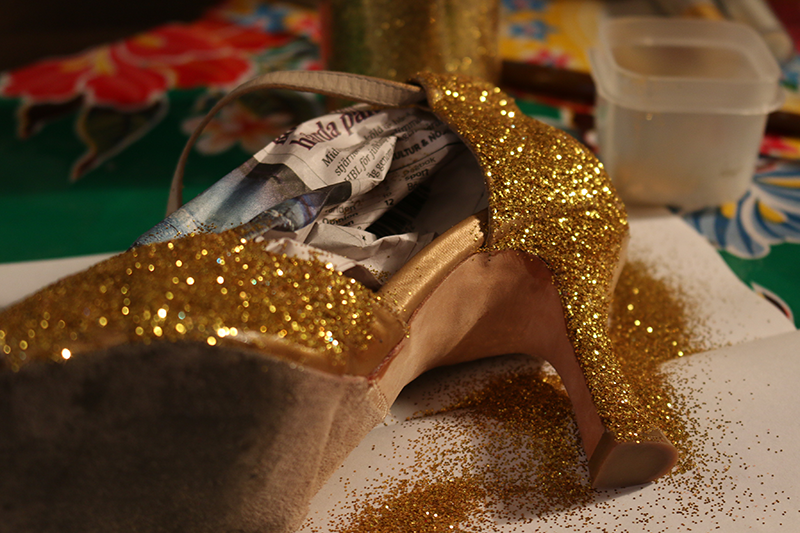 You can choose to finish your project here and strut along in super glittery shoes already. Give them a light fix with hairspray or fixative (for coal crayons) before you head out. I like it with a little less crisp and more smooth finish, that also makes them last longer, so I paint on one last layer of glue, thick enough to cover all the glitter, on. Once again you might get sceptic and think that you’ll ruin them, but don’t worry, as the glue dries the shoes will sparkle like whoa! again! 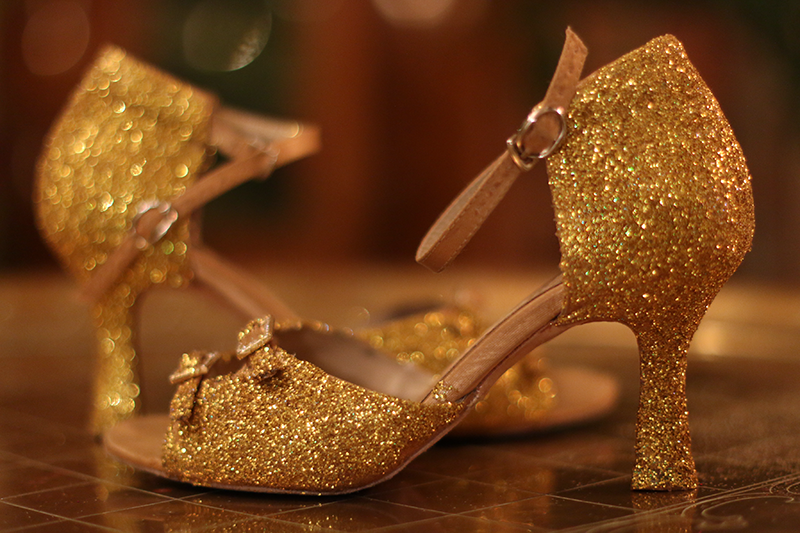 Now dance the night away in shoes that would make Dorothy and her ruby slippers jealous. 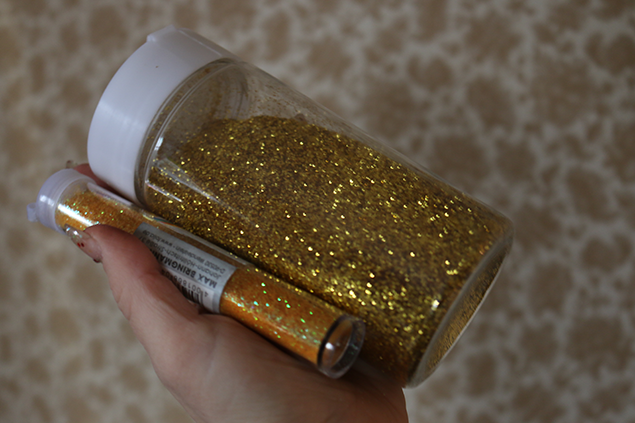 - you can mix two shades of glitter for more ‘depth’ to your sparkle, like a more yellow and a more brownish gold for exampe. Or red and fuchsia. Mix them in the jar you work with before pouring on. -Bling your heels to the max by adding a few chrystals or rhinestones on top afterwards., for example in the front on a pair of sandals. -Glitter just a section of you shoe, the back and heel for example. Make sure to draw an exakt line with the brush when you put the glue on for a neat and pretty result, or then place place a trim /ribbon or a row of rhinestones on the edge to cover it. *) to be clear, this post has been sponsored by Yahoo! and I give my sincerest thanks for sponsoring me in the making of my glittered shoes. While this was a sponsored opportunity from Yahoo!, the idea of the post, it’s content and opinions expressed here are, of course, my own. This was a brilliant idea. Thank you for sharing this tricks. I will share this to my friends.